This minimalist lamp responds in real time to earthquakes around the world. 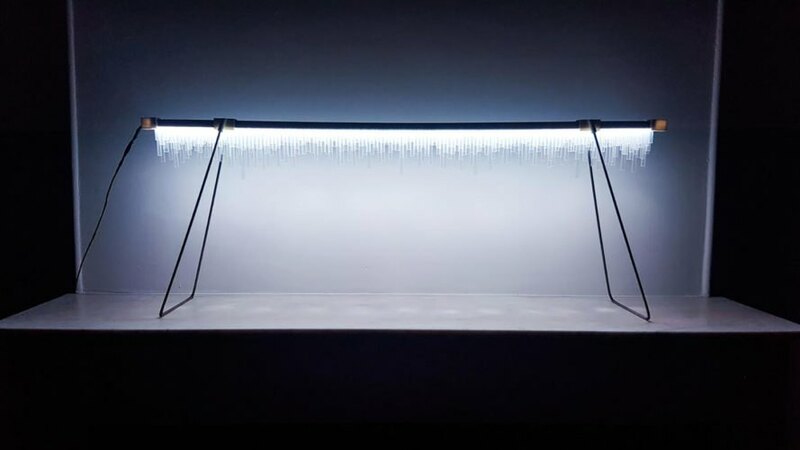 French artist Fabien Bouchard, who works under the name Parse/Error, linked the lamp to the data from IRIS (Incorporated Research Institutions for Seismology) to which it reacts by emitting light pulses and rumble-like sounds when an earthquake occurs. The modern design makes the Earthquake Lamp a stunning object for any home, but its purpose makes it more than a beautiful light source. The artist, who lived through the great 2011 Tōhoku earthquake in Japan, drew inspiration from this devastating event and created an product that would offer a tangible connection to the Earth and the power of nature. Its shape — a flattened planisphere that acts as the axis of the longitudes — emits light and sound pulses that shift according to the location, magnitude and duration of any earthquake around the world. The Earthquake Lamp is connected with a sub-woofer and produces an impressive rumble that will stop you in your tracks and induce a sense of both fascination and anxiety. This minimalist lamp responds in real time to earthquakes around the world. 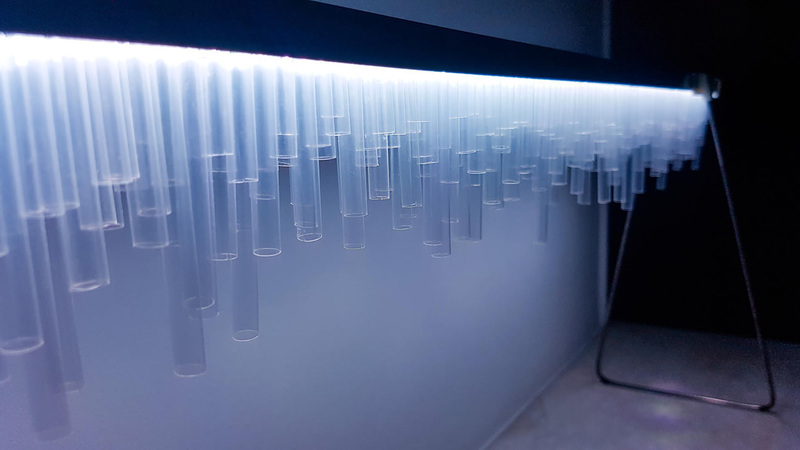 French artist Fabien Bouchard, who works under the name ParseError, linked the lamp to the data from IRIS (Incorporated Research Institutions for Seismology) to which it reacts by emitting light pulses and rumble-like sounds when an earthquake occurs. This minimalist lamp responds in real time to earthquakes around the world. 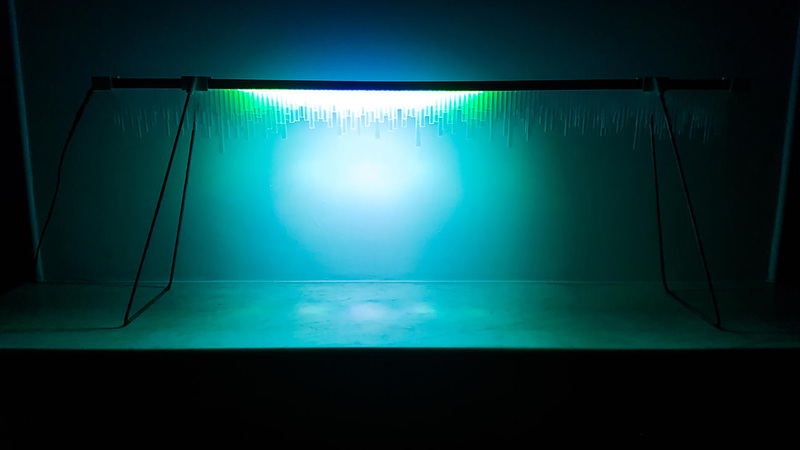 French artist working under the name ParseError linked the lamp to the data from IRIS (Incorporated Research Institutions for Seismology) to which it reacts by emitting light pulses and rumble-like sounds. The clean, simple design makes the Earthquake Lamp a beautiful object for any home, but its purpose makes it more than a beautiful light source. 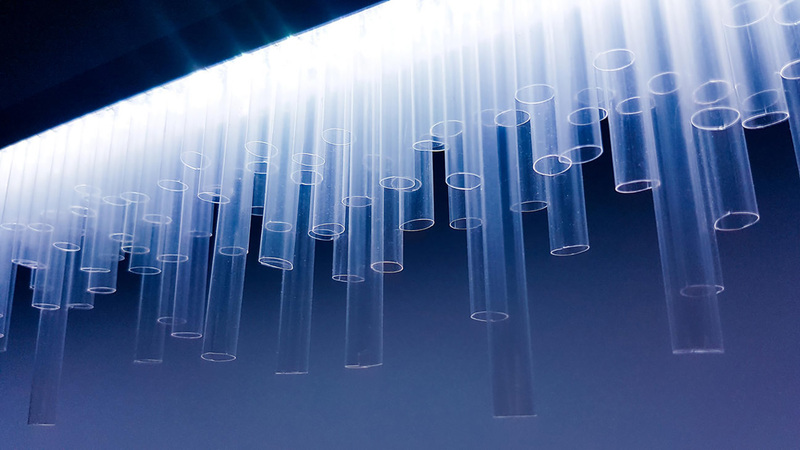 The artist, who lived through the great 2011 Tōhoku earthquake in Japan, drew inspiration from this devastating event and created an object that would offer a tangible connection to the Earth and the power of nature. Its shape– a flattened planisphere that represents the axis of the longitudes– gives off light and sound pulses that change according to the location, magnitude and duration of earthquake across the globe. Linked to a subwoofer, the Earthquake Lamp produces an impressive rumble that will stop you in your tracks and induce a sense of both fascination and anxiety.